Garden swimming pool in the hot climate regions is an integral part of landscape design. Properly performed pool landscaping can fulfill several functions. It can act as decorative element and as a place of active rest. The design of garden with swimming pool usually starts from determination of pool location. To make the swimming pool in the garden, it is necessary to design it accordance with the size and location of other buildings. After building bath-house, many garden plot owners want to erect an outdoor pool. It would seem very simple- fill the pool with water and swim! 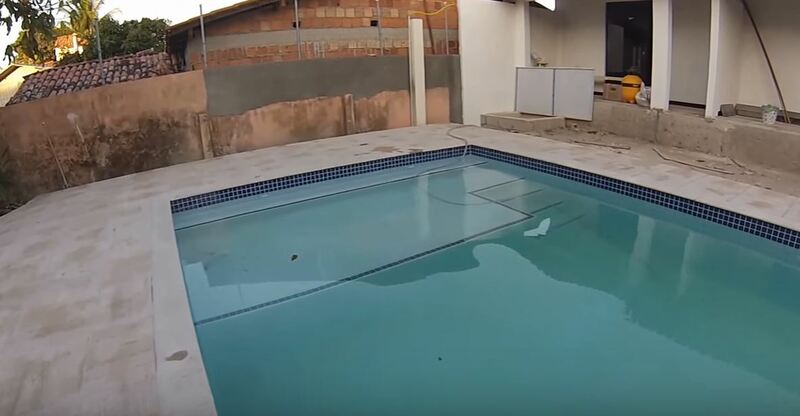 Building a pool is only half the work. It requires a constant care. It is a quite troublesome matter to keep the pool in perfect condition. Once in three years in spring the walls and the floor must be painted with special paint for pools. Of course, it is better to cover its interior surface with the special blue film, but it is very expensive. You’ll also have to look after the water quality. 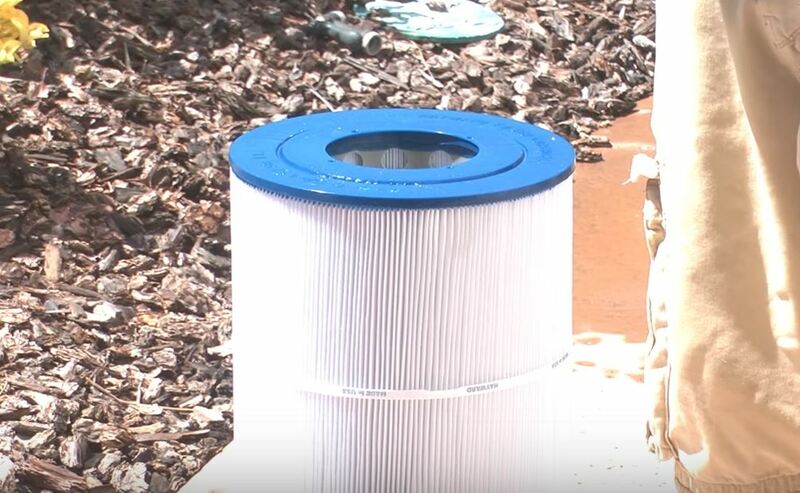 The care of pool is also impossible without filtering installation, which provides water circulation and removal of insoluble parts, settling on the filter during the water pumping. 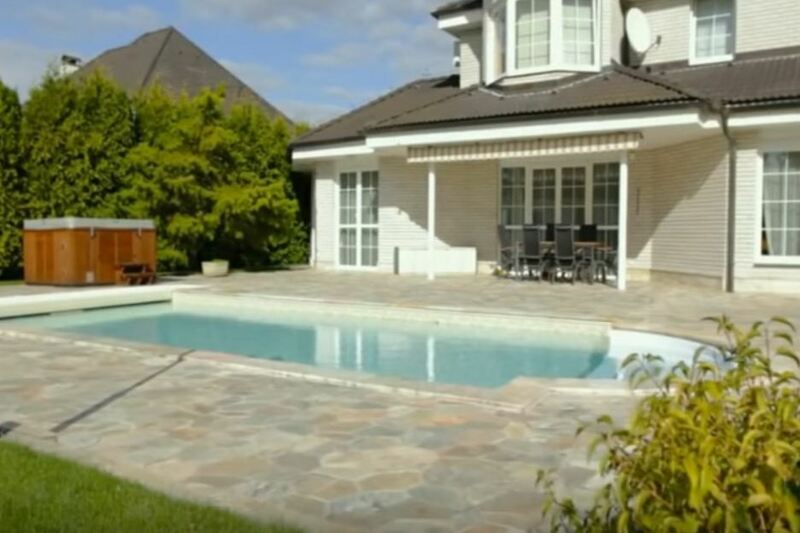 For reasons of hygiene, it is necessary to apply special chemicals for the pool cleaning. 2-3 times a week the pool must be cleaned with water vacuum cleaner. It is important to remove all the fallen leaves and branches from the bottom and the walls of the pool. Working on the pool is carried on from the beginning of May to October. Spring is the time of general cleaning. 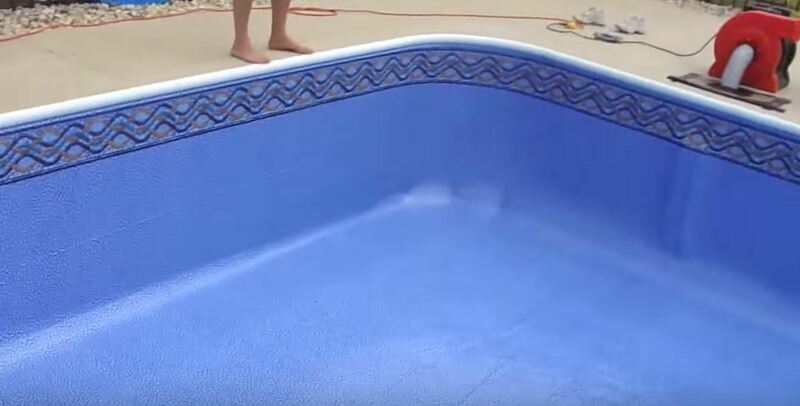 The water is drained out and the frogs are pulled out of the pool, the bottom and the walls are cleaned with the brush, and the pure water is filled from the well. In the beginning of May, yellow pollen falls from the trees and the pool is not cleaned. And in the middle of May people often turn on the filtering installation, which must work 6 hours a day. But the quiet rest-time near the water is full of charm. You can sunbathe and enjoy the rest under the shade of parasol. It’s such a pleasure to swim in the pool in hot weather. And jumping to the swimming pool after the bath-house is a special delight. 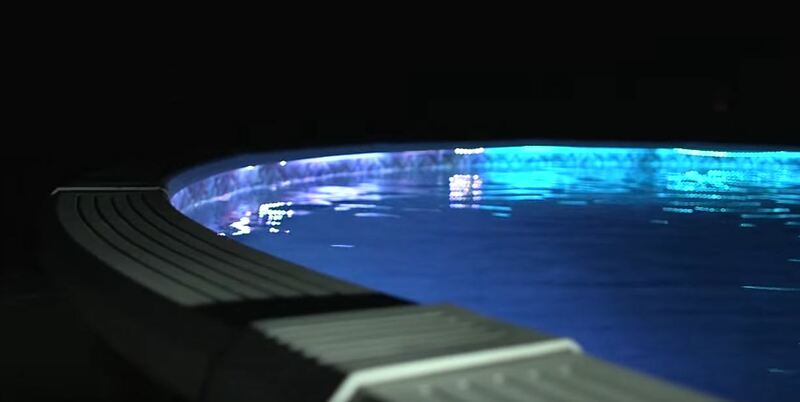 Swimming pool is a beautiful decoration of the garden not only in the daytime, but also in the evening, when the candles, floating in the water, create the festive atmosphere. It is so wonderful to sit in the chaise longue on shore, to sunbathe, contemplate the water. But, unfortunately, we have too little time for it. However, we can swim in the garden pool with our neighbors on any lovely day.